Join the Applian affiliate program and start earning easy money today. Just by linking to Applian products from your Web site. It's a simple and very effective way to earn a lot of money. Sign up as an Applian affiliate via Shareasale. Use the links provided to you to promote Applian products on your site or blog. When one of your visitors clicks these links and purchases any Applian product, you make a 30% commission. Our affiliates on average make over $10 on every sale. What are you waiting for? 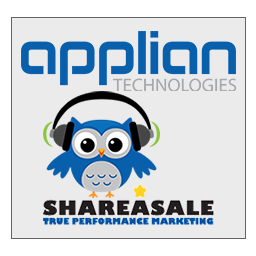 Become an Applian Technologies affiliate today! Shareasale tracks when customers click on your affiliate links, and if a sale occurs as a result of that link, a commission is credited to your account. This is all done with "hidden pixels" and "cookies". All you need to do is use the links we've provided- everything else happens automatically. At any time, you can log on to their site at shareasale.com, and they will provide you with real-time reporting and information on your monthly commission checks. Need More Information? Or want us to create special links for you? We want to make you money! Please email us if you have questions or need something special to make this affiliate program work better for you. We also provide an API into our Recording Solutions system, whereby your site visitors can find the best tool to download video or audio from any site. Click here to learn how to use the Affiliate API.